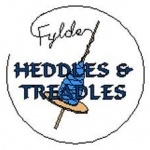 We are a group of spinners, weavers and dyers ( with lots of other crafts too); passionate about everything fibre-related. All potential members made welcome. Come along and see what we do, email the secretary if you want any further details.